Sidney Crosby is set to pass Mario Lemieux as the Pittsburgh Penguins all-time leader in regular season games on Saturday against the Tampa Bay Lightning. Crosby is set to make his 916th appearance with the Penguins in his 14 seasons with the club. Chicago Blackhawks won their sixth straight game, after completing a 4-3 victory in overtime against the Vancouver Canucks on Thursday. Patrick Kane had an assist to extend his point streak to 13 games, the longest active streak in the NHL. 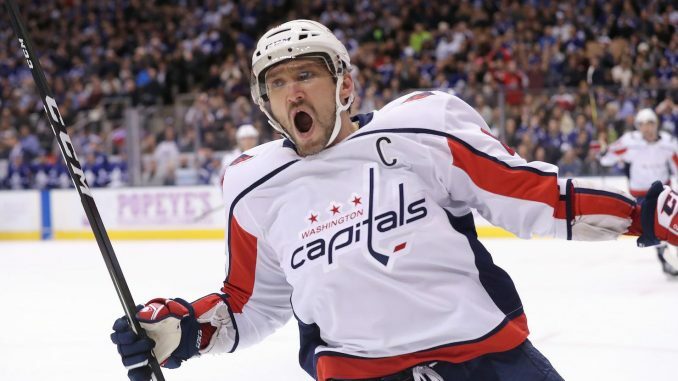 Congratulations to Alex Ovechkin who on Tuesday became the leading Russian-born scorer in NHL history, after the Washington Capitals defeated the Vancouver Canucks 3-2 at Capital One Arena. Ovechkin, who assisted on T.J Oshie’s first period goal, now has 1,180 points made up of 644 goals and 536 assists in 14 NHL seasons, one more than Sergei Federov had in 18 seasons. It was also a celebration night for Patrice Bergeron who scored twice in his 1,000 NHL game, as the Boston Bruins beat the New York Islanders 3-1 at TD Garden. The Philadelphia Flyers continued their current purple patch with their eighth straight win after defeating the Vancouver Canucks at Wells Fargo Center on Monday. 20-year-old Carter Hart made 41 saves for the Flyers in his seventh consecutive victory for the side. On Thursday, Flyers eight-game winning streak came to an end at the hands of the Los Angeles Kings in a 3-2 shootout loss. Dallas Stars scored four goals in the third period to register their fifth consecutive victory, a 5-4 win against the Arizona Coyotes on Monday. Tyler Seguin scored to give Dallas a 5-4 lead with almost eight minutes remaining, after Arizona scored two straight goals in 61 seconds to tie the game. The Winnipeg Jets scored a franchise-record six goals in the opening period, with Jack Roslovic grabbing four points and his first NHL hat-trick in a thumping 9-3 victory against the Anaheim Ducks at Bell MTS Place on Saturday. The nine goals were also the most scored in a home game in Jets/ Atlanta Thrashers history. Jacob Markstrom made 34 saves for the Vancouver Canucks in their 5-1 win against the Colorado Avalanche on Saturday. Jake Virtanen and Antoine Roussel each had a goal and an assist for the Canucks who have won three of their last four games and moved ahead of the Avalanche for the second wild card into the Stanley Cup Playoffs from the Western Conference.